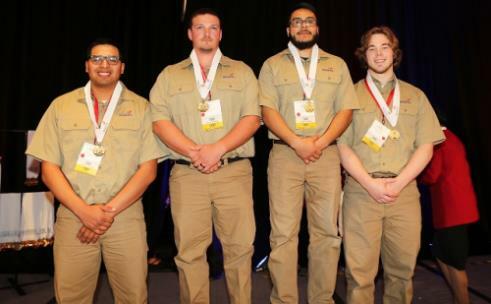 For the fourth year in a row, GNTC won the gold medal in the TeamWorks competition at the 2019 SkillsUSA Georgia competition. Pictured, from left to right, are Gabriel Lopez, Ryan Banks, Joel Paez and Jesse Flanagan. 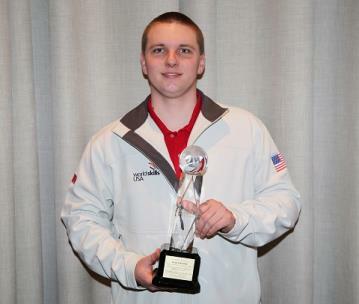 During the opening ceremony for SkillsUSA Georgia a special recognition was held for GNTC alumnus Ryan Fincher, the 2019 SkillsUSA World Team Welder. 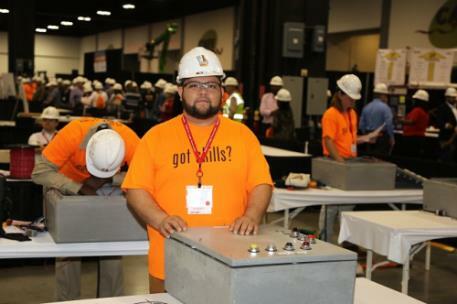 Mr. Fincher was selected to represent the nation at the WorldSkills Competition in Kazan, Russia. The best welders from around the world will take part in the elite international competition. 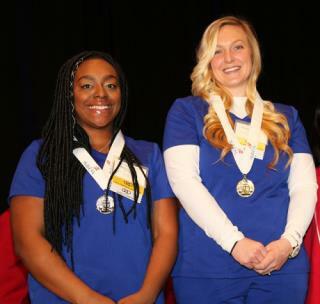 Georgia Northwestern Technical College students performed at the 2019 SkillsUSA Georgia State Leadership and Skills Conference, March 21-23, in Atlanta. GNTC competed in 15 categories and took home 13 medals; five gold, six silver and two bronze. Listed below are gold, silver and bronze medalists including the student’s name, competition and county of residence. During the opening ceremony for SkillsUSA Georgia, a special recognition was held for GNTC alumnus Ryan Fincher, the 2019 SkillsUSA World Team Welder. 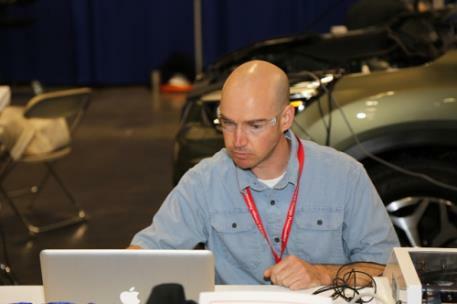 Mr. Fincher was selected to represent the nation at the WorldSkills Competition in Kazan, Russia. The best welders from around the world will take part in the elite international competition.